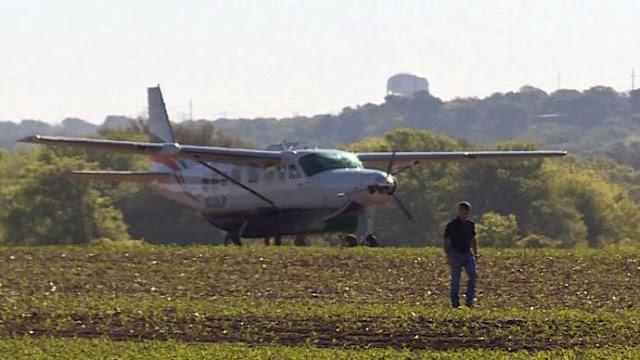 MC GREGOR, Texas (KWTX) A pilot walked away uninjured Monday morning after making an emergency landing in a cornfield after his plane developed engine trouble on a short flight from the Texas State Technical College Airport to McGregor Executive Airport. 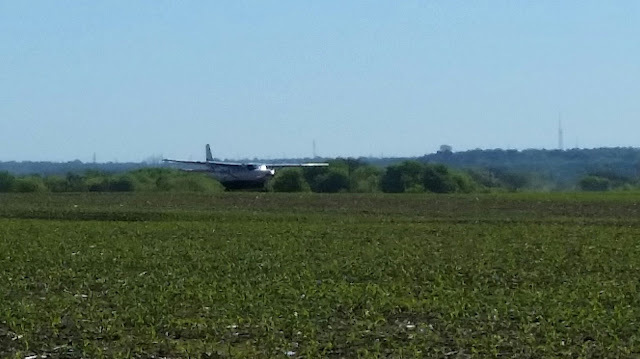 Department of Public Safety troopers, McGregor police and fire units joined a search for the Cessna 208-B Caravan at around 8:45 a.m. Monday. The plane was found in the field about 15 minute later. The single-engine turboprop can seat from nine to 14 passengers with a single pilot and is used both for short-haul regional air service and cargo operations. UPDATE -- A pilot headed to the McGregor Airport was forced to make an emergency landing Monday after the plane started to have engine problems. According to Texas Department of Public Safety spokesperson, DL Wilson, the plane was coming back from Texas State Technical College Airport in Waco when it had to land around 8:30 a.m. The plane is a Cessna 208B. It can carry up to nine passengers plus the pilot. The pilot, 39, whose name was not released, was the only person on board. He was not injured. MCGREGOR -- A plane landed in a corn field Monday morning in McGregor. The first call came out just before 9 a.m. The field is located off Speegleville Road and Windsor Way. A person at the McGregor Airport could not provide any further details as to whether anyone was injured.